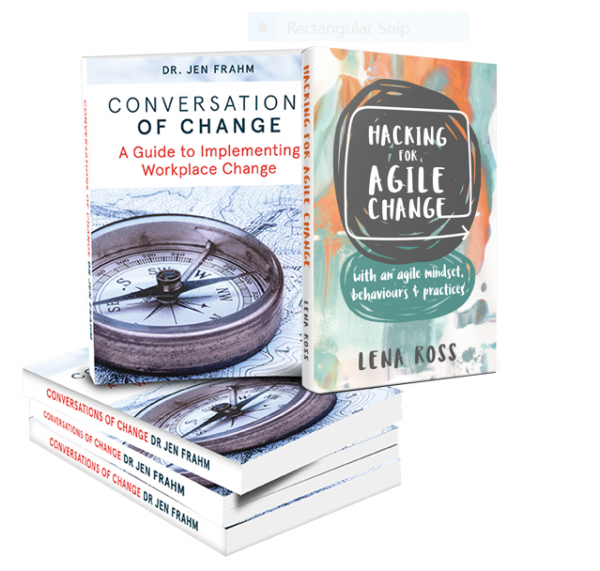 Equip yourself with Conversations of Change by Dr. Jen Frahm and Hacking for Agile Change by Lena Ross in one convenient bundle. 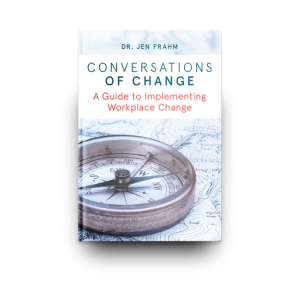 Both books are invaluable resources for anyone involved in the change process. 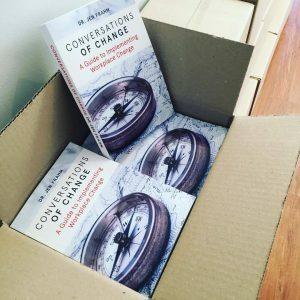 For managers who are just starting out and need to find a way through, leaders challenged by change, early career change folk to veteran change practitioners who want to stay on target, Conversations of Change and Hacking for Agile Change are must-haves for any change leader’s library.